How To Choose The Best Indonesia Green Mung Beans? - Blog - Tiga Rasa Indonesian Spices, Tamarind, Candlenut, Green Mung Beans Supplier. How To Choose The Best Indonesia Green Mung Beans? HOME / BLOG / How To Choose The Best Indonesia Green Mung Beans? Indonesia Green Mung beans are small green from the Indian subcontinent, and are common in food throughout south and southeast Asia, inscluding Indonesia. The best Indonesia Green Mung beans are brightly colored, smooth and oval in shape, and without any cracks, soft spots or discoloration. 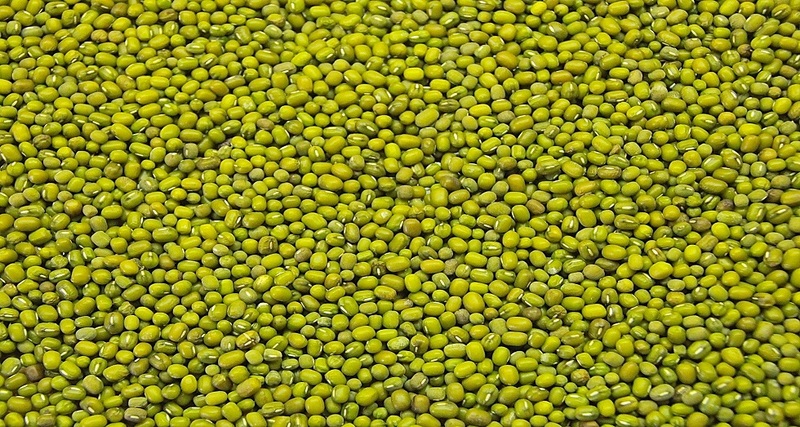 These Indonesia Green Mung beans are usually sold dried, and should be even in size and shape, and dry throughout. In cooking, Indonesia Green Mung beans can be boiled for consumption whole, sprouted, or made into noodles. To choose the best Indonesia Green Mung beans Look for a consistent, relatively bright color and an undamaged skin. The bean should not be cracked or broken unless all of the beans have been split for soups. Avoid any specimens with discolored spots on their skins or a soft feel, as these may be rotten. When buying dried Indonesia Green Mung beans, look for fresh, unwrinkled specimens about about 0.25 inch (0.5 cm) in length, without many stones or pieces of dirt in the bag. Avoid containers that include many broken or shrunken beans, as these may not cook evenly. One or two discolored beans is acceptable, but, if many beans seem to be light or faded, the container may have been stored poorly.